w/ Bo Bowen, Alec and Jan Foreman A very special As You Go mini-episode featuring an interview with two of the most fascinating people ever to grace the podcast: Alec and Jan Foreman. Alec and Jan are former missionaries to Mali, where they worked with a variety of organizations and initiatives, most notably well-digging efforts in rural villages. They have also served on staff at Black Forest Academy in Kandern, Germany, an international boarding school for the children of missionary families. However, these are just two examples of a life that has been bursting at the seams with adventure. Originally from England, even before Alec and Jan were married, Jan was working as a nurse in Alberta while Alec was stationed in Antartica with the British Royal Air Force. No strangers to extraordinary locales and experiences, as newlyweds they decided to embark on their greatest adventure ever; traveling across the entirety of the African continent in a specially converted Land Rover. As dear friends of podcast host, Bo, Alec and Jan were gracious enough to sit down for a brief interview during their last trip to the States, where they shared just a few of the many, many stories from that cross-continent adventure, not to mention the other amazing exploits, from their life together. They also gave a short, dramatic reading from their new book, Strangers Like Angels, which engagingly chronicles their experiences from their infamous 1977 Land Rover excursion. For a limited time from As You Go, we are making Alec and Jan's book, Strangers Like Angels, available for only $5. This is a book you NEED on your shelf, and one that makes a perfect Christmas gift to anyone who enjoys travel books, memoirs, or adventure novels. Contact us on Twitter at @asyougopodcast, or on our Facebook page at www.facebook.com/asyougopodcast, to let us know you want to reserve a $5 copy (or two or three). We'll do our best to ship them to you before Dec. 25! You can also find out a lot more about Alec and Jan Foreman on their website, www.explmore.com, where you can learn more about their book, see amazing photographs of their journey through Africa, and get inspired to some "more exploring" yourself! This is one of the coolest organizations out there, and all the proceeds from the book and other items on the website goes directly to funding Alec and Jan's work internationally. Finally, you can also contact us here at As You Go by e-mailing us directly at podcast@dbc.org. In addition to their website, www.explmore.com, you can follow Alec and Jan on Instagram at @strangerslikeangels, and on Facebook at www.facebook.com/strangerslikeangels. Brace for the profound... In life, there are beginnings, and there are endings. I know, I know. Your mind just got blown. But, in all seriousness, those beginnings often include some form of arrival, and, with those endings, some form of departure. It is the second one we're talking about on this episode of As You Go, and not only because this happens to be Bo Bowen's last episode as host of the podcast. On this episode, Bo sits down for one more long-form conversation, with some old and new guests, to discuss the spiritual and emotional impact that comes with leaving a place, a church, a job, a town... Every guest brings their own stories, experiences, and lessons learned from times in which they were compelled - one way or another - to leave the life they knew and go to a new place. In this conversation, we talk about everything from the sadness and sentimental struggle of deciding to leave, to the spiritual significance behind the act of leaving, to some helpful reminders on how to leave well (even when the circumstances may tempt you to leave not-so-well). And, yes, this is Bo's last episode as host, as he also finds himself in the process of leaving. Beginning April 1, 2019, Bo will begin a new position as senior pastor at Northeast Church in Braselton, Georgia. So, while we consider this episode his swan song, we are thankful he invited plenty of others along to share the mic. 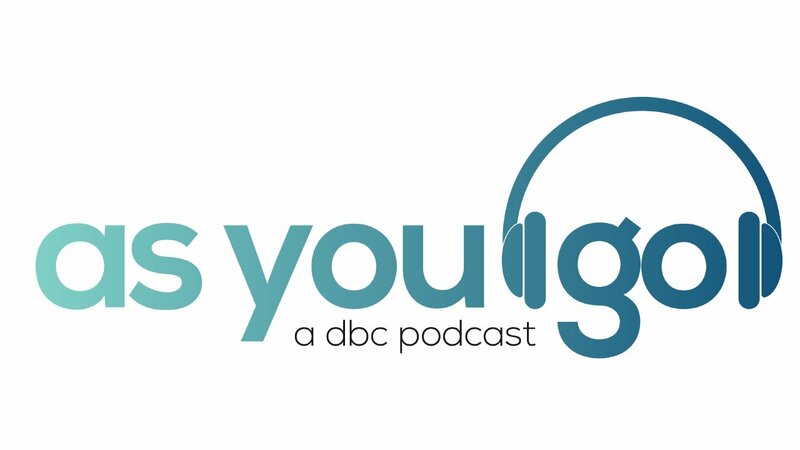 As always, if you have any comments, questions, or would like to share your own stories, you can contact us at podcast@dbc.org, or go to our Facebook page, www.facebook.com/asyougopodcast. You can also follow us on Twitter at @asyougopodcast. Well, it's that time of year again when we look back on all the best (and worst) aspects of 2018. Why we do this, who can say for sure? But we do it, and this wouldn't be a regular, ongoing podcast if it didn't keep up with culture's tendency to evaluate the previous year before jumping into the next. On this episode of As You Go, Bo sits down with some good friends (Robert Comeaux, Pastor of Worship & Arts; Katy Swilley, Assimilation Coordinator; Jeremy Noa, Video Coordinator) and his trusty engineering sidekick, Ross, to discuss the standout moments, stories, and experiences from 2018. The group shares their picks for Best Movie, Best TV Show, Best Book, and Best Album while also offering some perspectives on major and overlooked news stories from the past year. And, just like last year, the caveat on the Best-Of categories is that these pieces of pop culture did not have to be released in 2018 - only experienced for the first time in the past year. Yeah, it's a cheat, but it makes things so much easier. So, sit back, relax, and let the dying song of 2018 screech out one last time... If you would like to share your own picks for the best and worst of 2018, or you think you have a valid reason for telling one of us why we were dead wrong about our own picks, please don't keep that information to yourself! Write to us at podcast@dbc.org, or comment on our Facebook page at www.facebook.com/asyougopodcast. You can also tweet to us at @asyougopodcast. Heaven. A glorious place. Pearly gates. Streets of gold. A crystal sea. And so many clouds! Hell. A terrifying place. Fiery pits. Sulphur fumes. Dank caves. And so many pitchforks! Misinterpreted or not, these are just some of the images that come to mind when we think of the proverbial carrot and stick of the Christian view of eternity. And, for more than fifteen-hundred years, these images have proven extremely influential to human beings. To this very day, even people who reject everything about Christianity are familiar with the concepts of heaven and hell. They are integral aspects of the life of faith, and have been speculated about and re-imagined by believers and non-believers alike. Even if you don't believe in heaven or hell, there's no getting around how powerful and persuasive these two concepts can be. On this episode of As You Go, Bo sits down with regular co-hosts Jeff Reams (Missions Pastor at Dunwoody Baptist Church and host of The Mission Life Podcast) and Katie Phillips (Writer and Editor with Shaunti Feldhahn Ministries) to discuss how their own upbringings in the Church were influenced (or not) by the concepts of heaven and hell. In what ways has the hope of heaven drawn them deeper into a desire for God, and in what ways has a fear of hell changed the way they viewed the life of faith? How should Christians talk about these two enigmatic concepts with non-believers? What about with children? 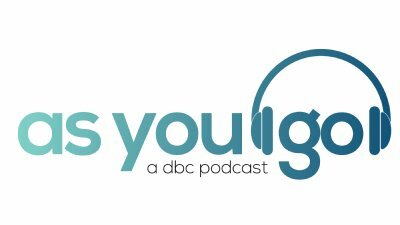 If you would like to share your own thoughts on this episode, you can write to us at podcast@dbc.org. You can also find us on Facebook at www.facebook.com/asyougopodcast. We're also on Twitter and Instagram at @asyougopodcast. We'd love to hear from you! Show Notes: The Reason for God: Belief in an Age of Skepticism by Timothy Keller, Penguin Books, 2009.